Becoming a freelance storyboard artist isn’t typically something decided overnight. There may be many reasons why you’re considering taking this route with your career. A couple of common reasons could be that you’re tired of jumping from studio to studio to work on the next project or you’re a recent graduate and feel you can make it as a freelance artist instead of going for a studio job. While it may be tempting to work at home in your pajamas, becoming a successful freelance artist is not an easy task. It takes lots of hard work, preparation and determination. This article will cover some very important tips any freelance artist should consider in order to be successful. This might be the most important tip for you to consider if you want to be a freelance artist. As you just start out, don’t expect to have clients lined up waiting to have you work on their high-paying project. Your first several months can be spent just trying to find clients. This can mean a long period with no source of income. That is why you shouldn’t quit your job or suddenly dive into freelance work if you aren’t prepared. Before you ever take the plunge, you need to have a safety net established. You should have at least four to five months of living expenses saved up; this includes everything from rent money, food, gas, etc. Basically everything you need in order to live. It can be hard to be creative when you’re worrying about where your next meal is coming from, so being prepared with some money up front can help. You can spend your time searching for clients and not have to worry about not making rent on time. Remember, once you get your first client that doesn’t mean they’ll keep falling in line either. At any point there can long periods of time before you find another client, so you should always have this type of savings set up as a fall back. As a freelance artist you’re pretty much you’re own boss, so it’s up to you to keep yourself accountable. One of the best ways to do this is to set a schedule for yourself. How many hours a day do you plan on working? How much time do you want to spend per day searching for new clients? You should also establish the times when you want to start working and when you want to stop. Of course, it can be nice to wake up at ten and start working at eleven, but this can be a bad habit to get into. Instead, try to set a normal work schedule for yourself; this will help you stay on track. Remember, your clients will often have regular work schedules and will probably expect you to answer your phone if they call first thing in the morning. You can even take this a step further and find a time clock application on your computer or mobile device. If you want to work eight hours a day, start the clock when you start working and be sure to pause it for any breaks you might take. This way you’re able to break procrastination and keep yourself inline to stick to a typical work schedule. Using a time clock can also help you manage your billable time spent on different clients. Steer clear of, “I can’t pay you for this, but if you do a good job there will be lot’s of work in the future.” This is something most freelance artists out there have probably encountered at some point in their career. It may be worded slightly different but it usually means the same thing: the promise of lots and lots of money and work down the road. Of course for this particular project, there isn’t any money in it, but as long as you prove yourself the client is going to have so much work for you in the future! As tempting as that may sound it usually isn’t true. You need to make a living and doing free work isn’t the best route to take. Of course, that isn’t to say a client is lying or purposely trying to be hurtful, but you shouldn’t sell yourself short. Being an artist is just like any other job that requires a lot of hard work. You should be compensated for your effort. A common misconception when beginning to freelance is that you’re going to be making big sums of money as soon as you start. However, when you’re just starting out you most likely won’t have a huge client base or large portfolio, so don’t expect to make as much as the more experienced freelance artists out there right away. In order to get more work, you’ll need to bid much lower on a project compared to the more experienced artists, simply because you don’t have the experience they do. Sure, you may be just as talented, but from a client’s perspective you’re brand new. You might have to make those sacrifices in order to make yourself more appealing. As you gain more work and experience you can gradually start charging more for each project, but don’t come right out of the gate charging the same amount as the freelance artist who has been doing it for years. If you do, you will find it very difficult to get work. Remember, too, that as a freelancer you’ll need to pay for things that are often covered by a studio, like insurance. These additional costs can come out of your bottom line making the amount you bring home seem like even less. As a freelance artist you’re inevitably going to run into clients who simply don’t pay you for your work. You may have agreed on a price but now they aren’t paying. Unfortunately this is a situation that’s too common, so you’ll need to be tough and persistent in order to get what’s owed to you. This could mean calling, emailing or whatever it takes to get the client’s attention. This isn’t to say every client is going to do this. In fact it’s probably an extremely small amount. As you gain more experience this will be less of an issue for you, but it’s still important to keep in mind especially if you’re just breaking into the freelance world. In order to stay productive and keep on schedule, you need to eliminate anything during your work time that might be a distraction for you. As mentioned before it’s up to you to keep yourself accountable. Working from home is nice, but it can be very easy to slip out of the schedule you established for yourself. For instance looking at Facebook for “just a moment” can quickly turn into an hour spent away from your work. Just like most studios out there won’t allow you to surf Facebook during work hours, you should keep the same mindset for yourself. A great way to stay on track and avoid procrastination is to act the same way you would normally if you were working in a studio environment. You may be in your own home, but if you were at a studio would you take a quick break to surf the web or catch something on TV? Probably not. Most freelance artists will probably tell you a majority of your time is actually spent searching for clients and trying to get that next project lined up. Even when you’re working on a project, you should still schedule yourself some time to be searching for your next client. The end of a project can sneak up on you very quickly and before you know it you’re finished without another client lined up. This translates to no income for a while. To help avoid this you should constantly be searching for new work and new clients. Join Linkedin, forums, job boards, etc, anything you think will help get you noticed, because most often you’ll need to find the clients and not the other way around. Clients want to know their project is in the right hands. You should be maintaining a professional attitude throughout an entire project, whether it’s through email, video chat, phone calls, etc. Even if the client may be difficult to work with it’s still important to keep a professional attitude. Keep in mind too that one of the best ways to gain more clients is through word of mouth. If a client enjoyed working with you, they might recommend you to a friend or colleague. So try to leave a good lasting impression on each one of your clients. 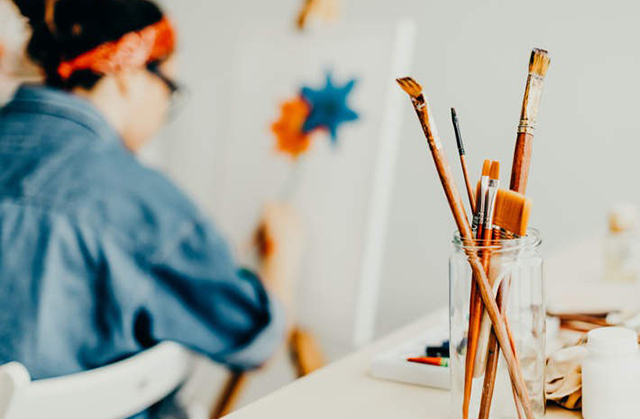 If you’re ready to make that next step into becoming a freelance artist, make sure you take these tips into consideration. Freelancing certainly isn’t for everyone as it can be a very difficult path to take. However, if it’s done right, it can be very rewarding as well. If you want to make your work even more appealing to clients check out the Demo Reel Tips and Portfolio Tips to help you present your work in the best way.